Delta has recently announced that they will be buying more A330neos from Boeing competitor Airbus! But surprising, at a cost of delaying their new Airbus A350 orders! 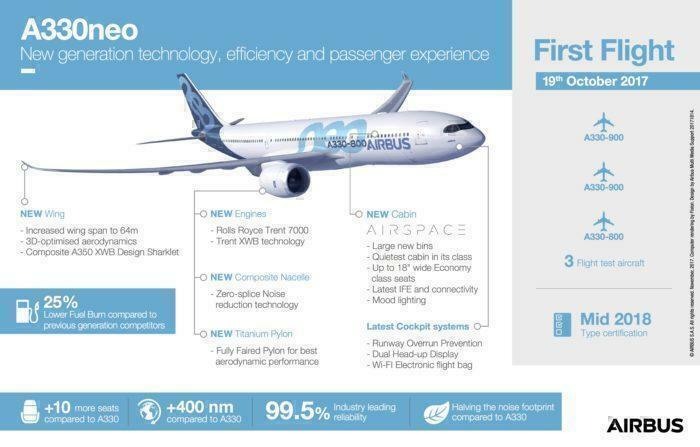 These new A330neo long-haul jets are worth ~$3B at list prices and have been rather slow-selling for Airbus. Delta’s competitor American Airlines has decided to purchase the Boeing Dreamliner instead of the A330neo, and United still on the fence. But with Delta supporting this purchase, it gives more confidence that this new jet will be a big success. “Expanding our A330 order book not only ensures that Delta’s near-to-medium-term widebody needs are taken care of, but also drives our strategic, measured international growth,” says Delta COO Gil West. This comes at a follow up as they recently accepted their new A220 Airbus planes and continue to expand their fleet against bitter rivals American Airways and United. Why is Delta ordering more A330s? Delta has chosen to postpone their order of the 10 Airbus A350’s until 2026 and order 10 A330neos instead. They currently have A330-200’s and A330-300 in operation in their fleet and 35 A330-900neos on order. The more fuel-efficient, Rolls-Royce Trent 7000-powered aircraft accommodates 287 seats in a typical three-class layout with a range of 7,200 nautical miles. Compared to the A350, this might be a bit of a downgrade but depending on where it is deployed it will be very useful for Delta. They plan to slowly replace their fleet of aged Boeing 767’s with the new plane, starting from early next year. The planes will most likely be flown on Delta’s Pacific routes, such as west coast to Hawaii and up to Alaska. This would be excellent competition against Southwest’s upcoming west coast to Hawaii flights. Additionally, they might use them for their long-haul European routes (Currently serviced by their 767 fleet) as well as the South American city of Rio in Brazil. Whether or not this will actually happen remains to be seen. Some customers of the A330neo expected their jets later this month or early next year, only to have their orders pushed back to 2020. “We’re having very tough discussions with Airbus on when,” Priscilla Branco, CEO of Azul, Brazilian launch customer of the A330neo. Why is this good news for Airbus? Airbus needs all the orders that they can get. They have started to slip behind Boeing and this latest influx for the struggling A330 is fantastic news. Lufthansa ordered 17 Airbus A320neo aircraft. Farnborough International Airshow order confirmed: VietJet ordered 50 Airbus A321neo aircraft. Delta ordered 10 Airbus A330-900 aircraft. Kuwait Airways ordered 8 Airbus A330-800, meaning that Airbus has found a customer for the shortest variant of the Airbus A330-800 after losing Hawaiian Airlines as a customer for the -800. Thanks to this order, Airbus has had an excellent month and secured more revenue away from rival Boeing. However, as it stands so far this year Boeing has been far more profitable. What do you think? Was it the right move by Delta? I think Delta should have considered the 787-9 to service their needs. They will probably be a good customer for the new 797 which could replace most of their aging 757 and 767’s. the 797 will be perfect for Delta, I fully expect them to order many when its released. Until the debacle with Lion, and the issue of Boeing not highlighting the AOA overiding procedure, all bets are off. Just a thought, would a stretched variant of the A330neo (similar stretch to A340-500/600) be more efficient than the A350XWB?